When your loved one is leaving for an important trip or returning back after one, we at SelectDFW understand the overwhelming feelings you go through. We believe that there is no better way to celebrate your love than by enjoying a few moments of privacy with your loved one before or after their flight with Dallas Airport Car Service. Dallas Airport Transportation offers you comfort, relaxation, luxury, privacy and the feeling of being disconnected from the rest of the world no matter how long or short your drive with us is. We also make arrangements for food, drink or other luxuries upon request when you choose us as your travel partners. Yes, with Dallas Airport Car Service, you can leave the world behind and choose to spend those few special moments with your loved one and cherish the memories you make for the rest of your life. Saying goodbye and welcoming your loved one is easy with Dallas (DFW) Airport Transfers. However, you need not use our services only to surprise or accompany them to or from the airport. You can also avail of our services for your very own travel purposes. 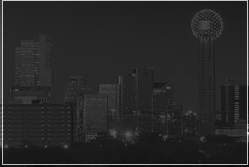 Dallas Airport Car Service guarantees comfort, relaxation and value for money, all in one trip.